Beginning in the 18th century with the American portrait artist John Singleton Copley, Americans have constantly attempted to convey a sense of realism in painting. These ideas did not remain stagnant through 19th and 20th centuries nor did all American painters adhere to the realist tradition. As with artistic cultures found in Europe, Americans often challenged the previous generation on established ideas and how they were conveyed visually. Throughout the first three quarters of the 19th century, realism often took a secondary position to more romanticized expressions such as the work of the Hudson River School. However, during the last decade of the 19th century, American painters began to embrace many of the new approaches to painting developed in France. 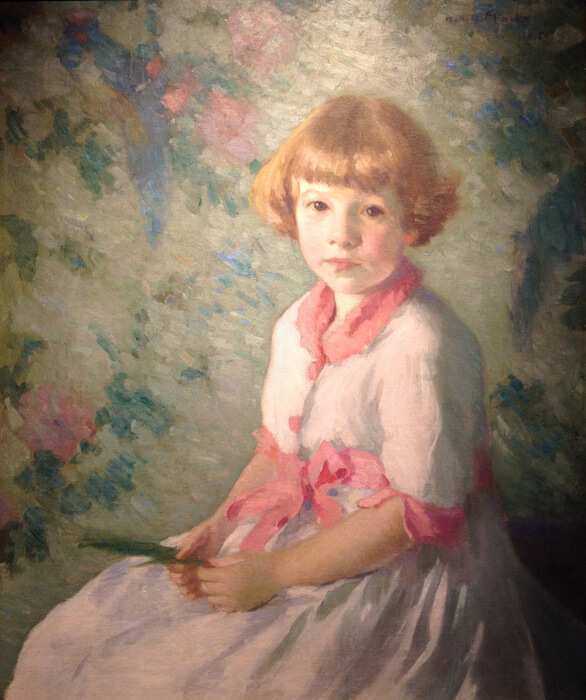 Young American painters returned to these shores having adapted to a new sense of realism achieved through painting outdoors, plein air painting, experimenting with the effects of light and color, resulting in Impressionism and painting life as they found it. Ivan Olinsky. Elsie Mershon Wickes. 1915. Oil on Canvas. Charles Eaton. 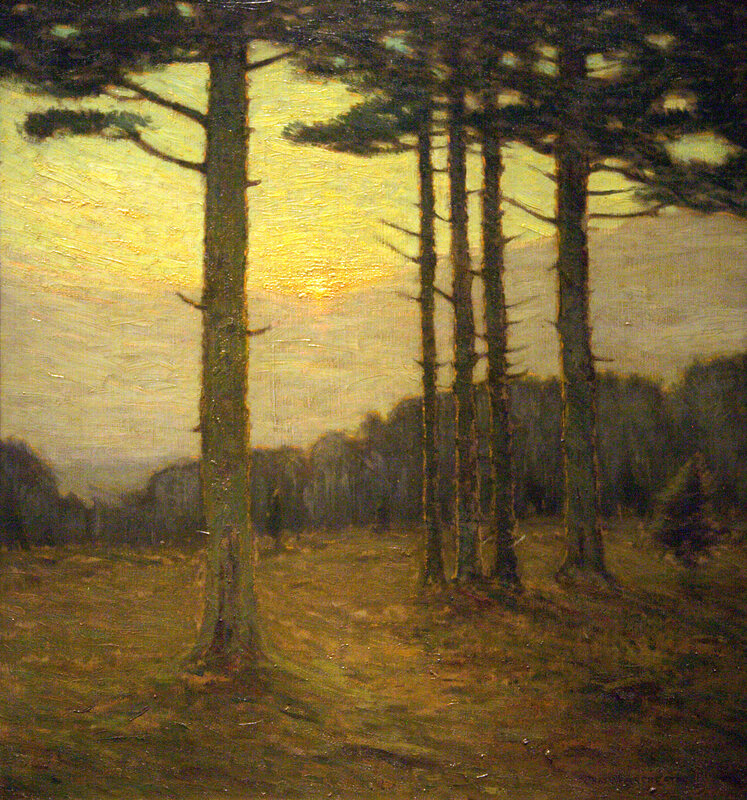 Sunset in the Pines, ca.1905. Oil on Canvas. Eaton belongs to a group of American painters known as Tonalists. In its purest form an artist develops a composition and figural elements using tones, shades and hues of one color. As a second generation Tonalist, Eaton breaks away from the stricter confines by expanding his palette. This poetic composition is also influenced by Japanese 19th century painting through the foreshortening of the picture plane and the use of a square canvas.